With its rich, storied history and being well known for its unique indigenous people, Peru is a country that would make for a most rewarding vacation. The beautiful natural landscapes are a nirvana for budding photographers and there are thousands of colourful festivals which go on throughout the year, which makes Peru a good destination choice any time of year. A vacation in Peru can leave you breathless. You will find yourself mesmerized at some of the awe-inspiring sights and ruins and you will learn a lot about the history of the culture of the people of Peru. 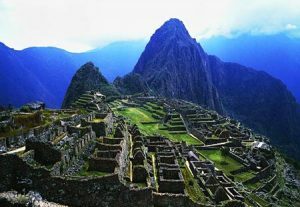 Travellers who visit Peru often find themselves wanting to return, and not in the too distant future either. There are many tours you can take in Peru, in cities such as Cusco, Puno and Arequipa. Not many people visit this country without taking at least one of these magical tours. Tourism is one of Peru’s major industries and it is best to go on tour with one of the guides. You can enjoy hikes accompanied by tour guides. If you decide to hike the Inca Trail, you MUST go with a tour guide. There are hikes suitable for all abilities, so you can take your choice of whether you want to experience a long or short hike, or something in the middle. Mounting climbing is a very popular outdoor pursuit and it is advisable that you take a tour guide. Some of the climbs are for the experienced only, but do not worry if you are not a budding mountain climber, there are also guided climbs that are suitable for intermediates or even total beginners. The Andes mountains in Peru are one of the most beautiful range of mountains and to see from a peak of around 20,000 feet would be something you would never forget. Between December and March is peak season for Peru’s beaches, one reason being that the surfing is at its best at this time of year. 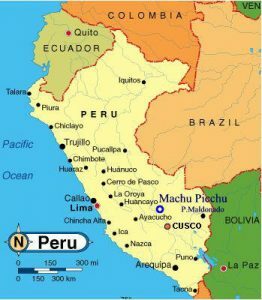 Peru boasts some world class waves and also the longest wave on the planet. Surfing in Peru is great for beginners but with its fantastic waves, it also attracts the most skilled surfers in the world. You can also take advantage of tour guides to visit the fantastic Amazon Rainforest. Here you will see many animal species you did not even know existed, such as pink dolphins!! You can come face to face with local tibesmen or shamans. There are many tours from Lima and Cusco which take you into the Amazon and you can stay at least one night in one of the fantastic lodges found in Iquitos, Manu and Puerto Maldonado. In the northern highlands of Peru you can visit ruins of ancient civilizations such as the city of Chan Chan and on the southern border you can visit the sacred Lake Titicaca and the town of Puno. A trip to Cusco and Machu Picchu is highly recommended with the possibility of visiting towns such as Pisac and Ollantaytambo. A one or two day trip to Lima is a must! A tour of this city would be a fantastic way to learn Peru’s history and see some of its major sites. You may even like to consider the possibility of paragliding of the cliffs at Miraflores. 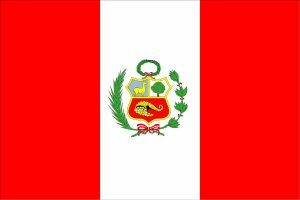 In most cities in Peru you will still see the influence of their Spanish occupation. The cities are full of gorgeous colonial churches and buildings and its city has its own Plaza de Armas (main square). Experiencing this Spanish influence while at the same time hearing the Inca descendants still speaking the ancient Quechua language can leave your head spinning and a thirst to return and experience more. You will agree that Peru is a destination which covers a multitude of experiences. You can surf, visit the Rainforest and trek the Andes all in one holiday. That, together with sampling each region’s culinary delights and traditions, you have a holiday destination that will leave you feeling totally fulfilled. In fact, once you begin to plan your trip, you will find that it is almost impossible to cover all the experiences and you will see that a second trip would be needed !